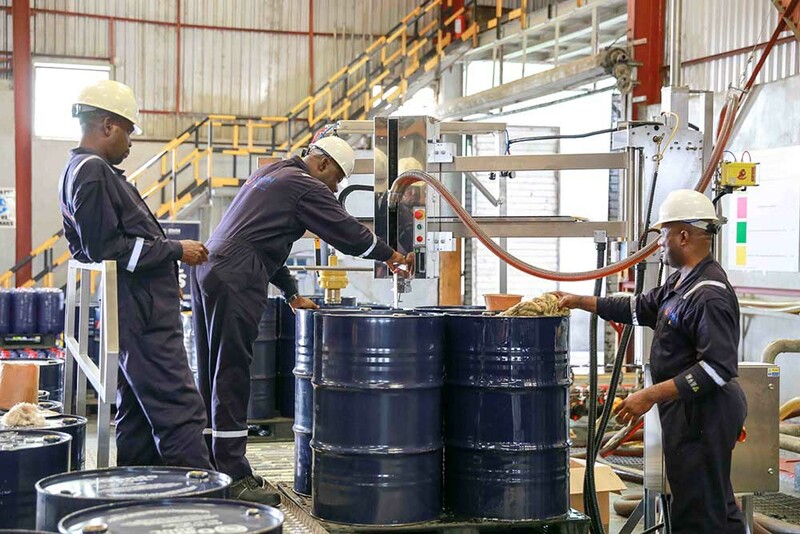 OVH Energy Marketing Ltd in Lagos, Nigeria, have become the first customer in Africa to purchase one of Adelphi Masterfil’s award winning System F-600 filling machines, for filling lube oil. OVH are “strengthening Nigeria’s downstream value chain through [their] Lagos Midstream Jetty and petroleum infrastructure management”, and Adelphi Masterfil are helping them to achieve this vision. An Adelphi Masterfil customer since 2014, OVH already had a six-head Masterfil filling line when they contacted Adelphi about a new machine. Commercial Director Catharine King was pleased to recommend System F-600 – which was Highly Commended in the Innovative Packaging Machinery category at the 2018 PPMA awards – to suit OVH’s filling needs. As part of the same order, Adelphi Masterfil built one of their highly regarded Weigh Scale Boom Arm Fillers, to provide a filling solution for OVH’s larger drum containers too. 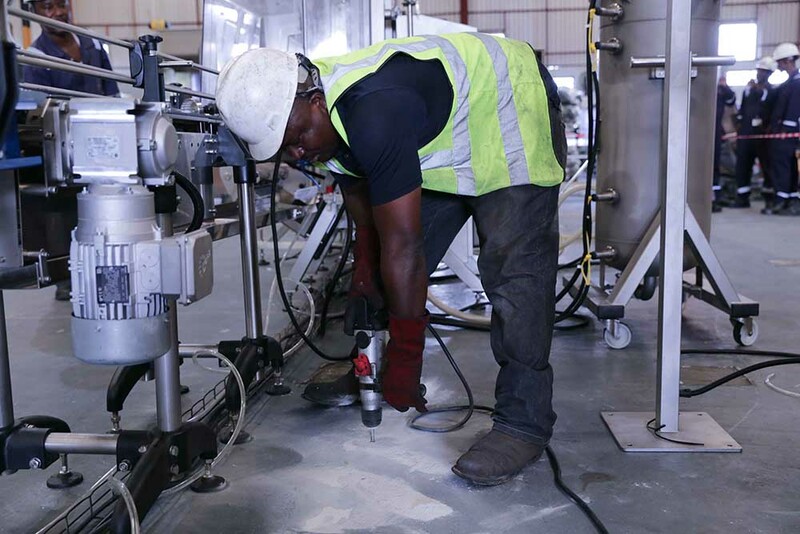 Adelphi Masterfil service engineer Mark Stainthorpe was in Lagos for a fortnight to oversee the installation of the two new machines, and to provide machine training for OVH employees. In the same trip, he also upgraded the capacity of OVH’s existing Masterfil line, from a six to an eight-head system. Is your business involved in the lube oil industry and investigating automation options? If so, please don’t hesitate to contact Adelphi Masterfil on +44 (0)1444 472300 or email sales@adelphi.uk.com to see how we can help grow your business.